We upgraded our SAN this summer, replacing a Xiotech Magnitude Classic with a Magnitude 3D. We purchased the equipment through CDW-G, and shortly afterwards they asked if they could do a story about the purchase for one of their publications. A little publicity never hurts, so I told them it was OK with me. I figured it would be a short blurb somewhere, but it wound up being a couple pages in their September 2005 Higher Education mailer. They even sent a photographer to St. Louis to take some photos. I forgot about it for the most part, until someone at work mentioned something about an article and a cover photo. As it turned out, I wasn’t on the mailing list for the catalog, so I didn’t know it had been released. A quick email to CDW-G fixed that and now I have four copies of both versions of the mailer, one is thicker than the other and the article and photos have been adjusted accordingly. I’ve also posted a couple of the photos from the article. There’s something very strange about seeing yourself on the cover of a magazine. 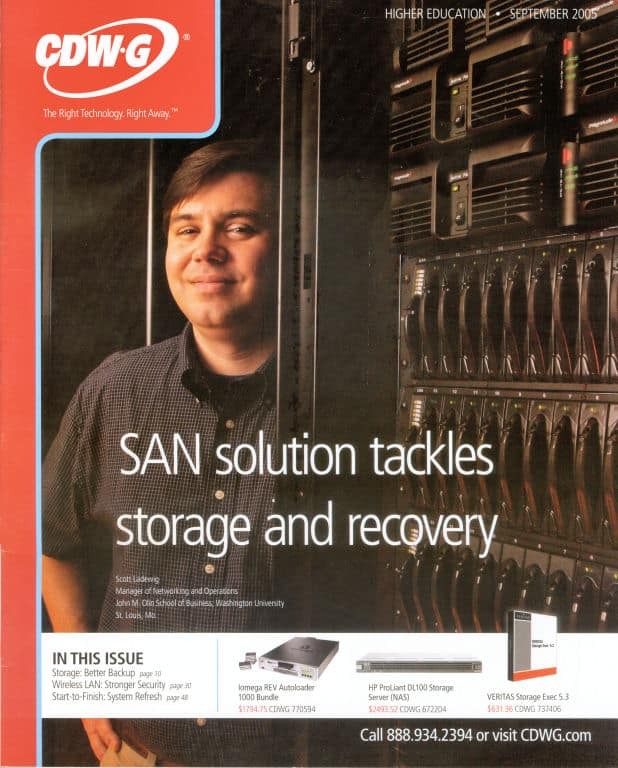 Scott makes the cover of the CDW-G September 2005 Higher Education catalog. 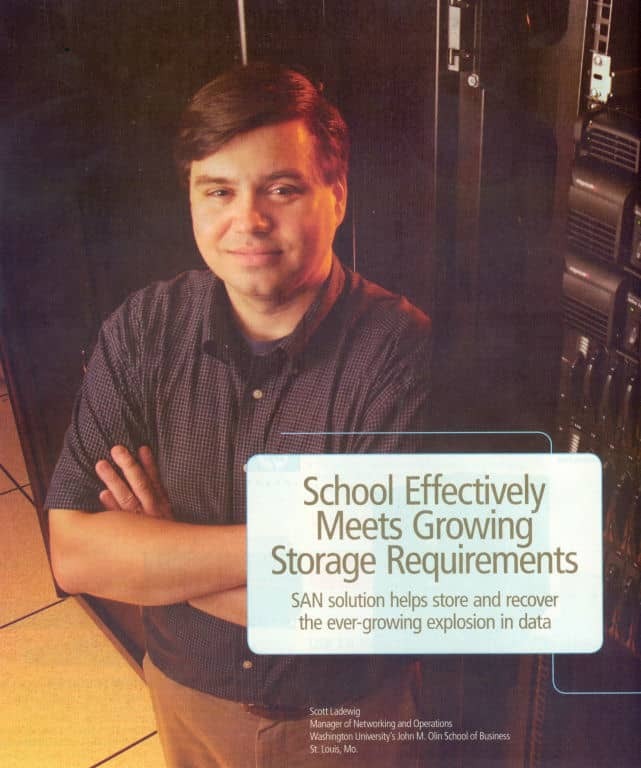 Article from the CDW-G September 2005 Higher Education catalog.